McDonalds is a popular morning spot for grabbing a quick cup of coffee when you’re on the go. Ever since they upgraded their coffee options a few years ago, the fast food chain has developed a loyal fan base for its java. It’s easy to hit the drive through on your way to work, but it isn’t as convenient on your days off. 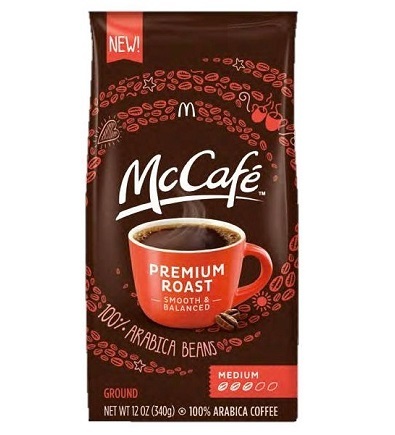 Fortunately for McCafe fans, Mcdonalds will roll out packaged coffee to grocery stores nationwide sometime next year. The offerings will include Premium Roast – their “house” blend – along with Premium Roast Decaf and a whole host of other flavors that aren’t offered at actual McCafe locations, such as Breakfast Blend, French Roast, Colombian, French Vanilla and Hazelnut. They will also be brewing up single-serving pods for Keurig brewers in their most popular flavors. McCafe coffee has been sold in Canada since late 2012 and test US stores since the beginning of this year, so fans should keep an eye out for these in their local retailers over the next few months.